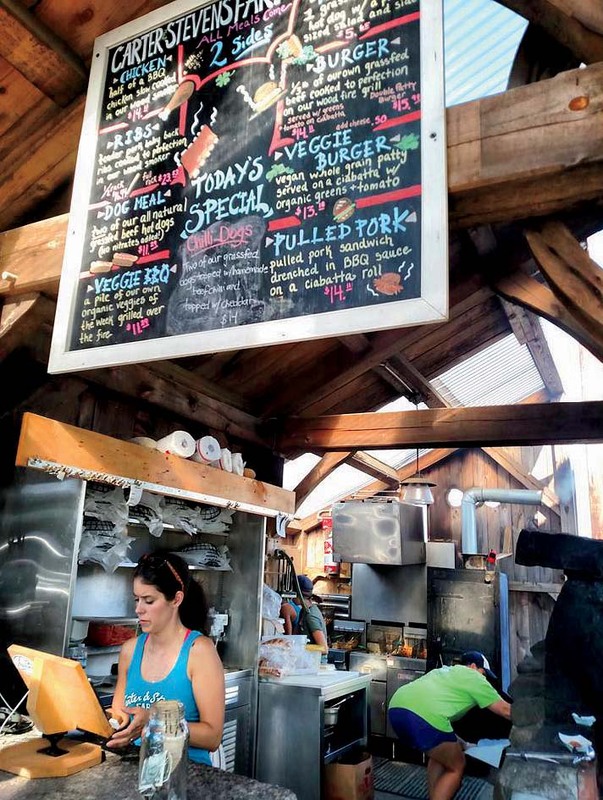 Carter and Stevens Farm runs a summer BBQ shack in Barre (Central Massachusetts). 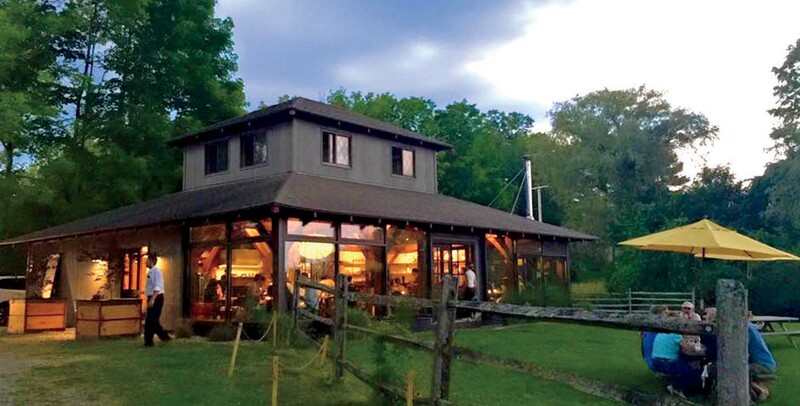 Not far from Great Barrington, the John Andrews Farmhouse Restaurant balances comfort and elegance. 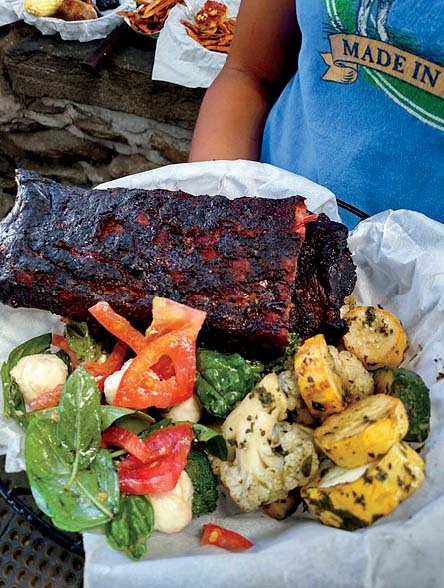 Summer in New England is a time to relax, eat well, and have some fun. 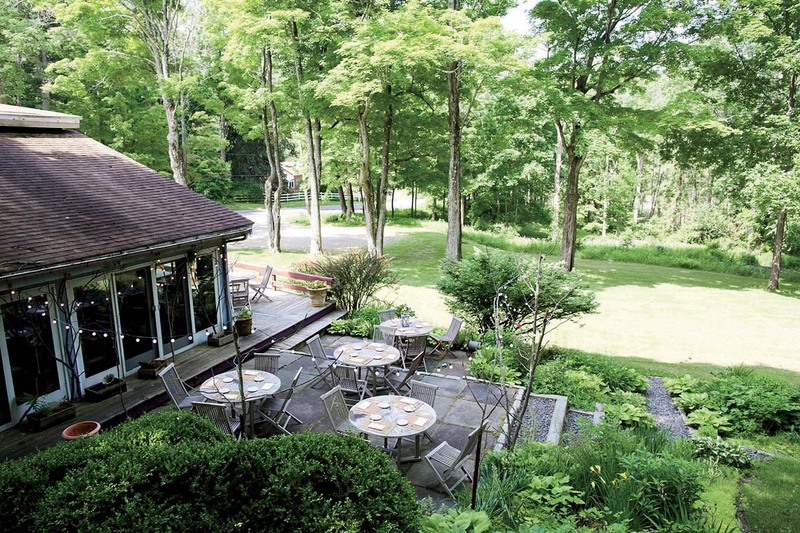 Restaurants, from the eccentric to the refined, offer the chance to do just that, while showcasing local produce and products in verdant settings. 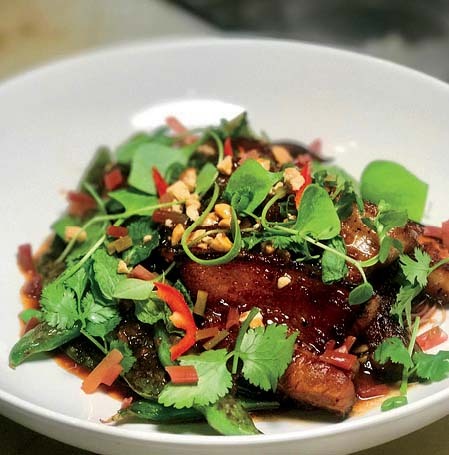 Far more orchestrated is the dining experience at Just Right Farm,  in Plympton, on Boston’s South Shore. Up to 36 diners may arrive as early as 6 p.m., tour the gardens, and sip drinks before being ushered into a tasteful wooden structure in which the walls are all screens, at 7 p.m. A five-course, prix-fixe menu is served; dining takes about three hours. The $140 per person tab, paid in full when the reservation is made, does not include tax, tip, or booze. But patrons can bring their own; the menu goes online a few days ahead.